In the first episode, the Palace Museum in Beijing showcases three treasures: a stone drum, painting A Panorama of Rivers and Mountains by Wang Ximeng and Large Vase with Variegated Glazes. Famous actors Wang Kai, Li Chen and Tony Leung played roles of national treasure keepers, along with other actors, and narrated the treasures' legendary life journey and shared their stories with these treasures. During the TV show, the nine major museums in China – the Palace Museum, Shanghai Museum, Nanjing Museum, Hunan Provincial Museum, Henan Museum, Shaanxi History Museum, Hubei Provincial Museum, Zhejiang Provincial Museum and Liaoning Provincial Museum – will each present three national treasures across its episodes. As a cultural variety show, the National Treasure is dedicated to showcase the background stories of national treasures, and fuses various art forms including studio variety show, documentary and drama. Each treasure in the show will be presented by "national treasure keepers" acted by celebrities and common people, to tell their stories with the collections, interpreting their historical mystery. The show aims to inspire the ancient Chinese civilization and make the national treasures "come alive". Hong Kong actor Tony Leung, who called himself a "half Forbidden City man", spent much time in the Palace Museum when shooting the film Reign Behind a Curtain in which he played Emperor Xianfeng. 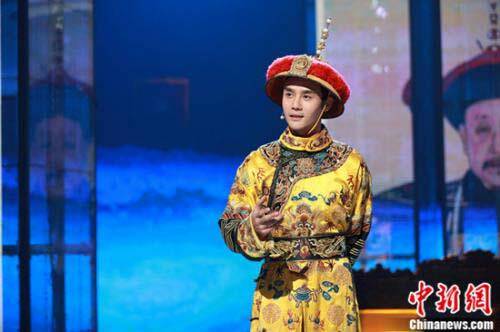 This time, he is the keeper of the 2,300-year-old stone drum and acts as famous statesman Sima Guang in Northern Song Dynasty (960-1127) in the TV show. Wang Kai, performing as Qing Dynasty (1644-1911) Emperor Qianlong in the show, presented the historical background of Large Vase with Variegated Glazes, which has the most complicated craftsmanship in the history of Chinese imperial porcelain. Li Chen, acting as Emperor Huizong of the Song Dynasty (960-1279), tells the history of Wang Ximeng's precious painting A Panorama of Rivers and Mountains, which is rarely seen as each unfolding of the painting will have some mineral pigments peeled off.